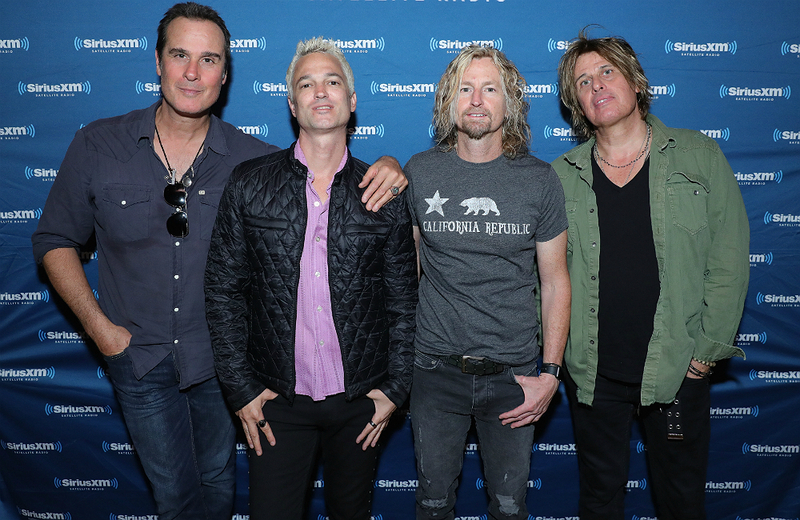 Stone Temple Pilots are back. New lead singer Jeff Gutt [pronounced “GOOT“] was revealed last November along with the a new song “Meadow”. And now there is a new album announced for release on March 16, 2018 with another new song “Roll Me Under” Take a listen below. I like it a lot. Can’t wait to see them. I was supposed to get tickets to see them in Boise, ID on March 16th, but I procrastinated and the show ended up selling out. Now the next closest date is May 31st in Boulder, CO. I wanted to go to the Vegas show on March 9th, but my wife isn’t interested in going to Vegas again so soon. Tempe AZ is the next night on March 10th, but that’s a bit further than we want to travel for one show. Wishing they would play here in SLC, but alas, a lot of bands [more accurately, their promoters] don’t care to make a stop in Utah. In the end, we decided on getting tickets to see them in Billings, MT on March 17th, which is the day after they play in Boise, ID. The drive to Billings ended up being shorter than Boulder, CO or Tempe, AZ. Plus it’s a city I’ve never been to before, so it gives us a chance to explore a new concert destination. If you’ve not heard “Meadow” yet, here is the lyric music video. I’m glad they decided to continue after heartbreak of losing two lead singers. Yeah, me too. I really didn’t want them to call it quits. Losing Scott was hard, even if was looking like there was not to be another reunion with him. I saw them live with Chester, which I enjoyed a lot, but that ended in a loss of life. I will be sure to post the review here on the blog after the March 16th show.